When it rains, I like to pretend I'm a lemon drop on steroids. Also, whenever I see people in NYC carrying that umbrella, I automatically want to be their friend. At least when it's raining, a lemon drop on steroids is a good thing to be. I think we need more rain right now. Even when it's warm like this, a good storm always cools things down. The jacket and boots are lemon drop delicious. Haha, that is a fabulous rain wardrobe, love that umbrella! I can only pull my eyes away from that umbrella to stare at that print! Lovely. Love, love, love all of it! 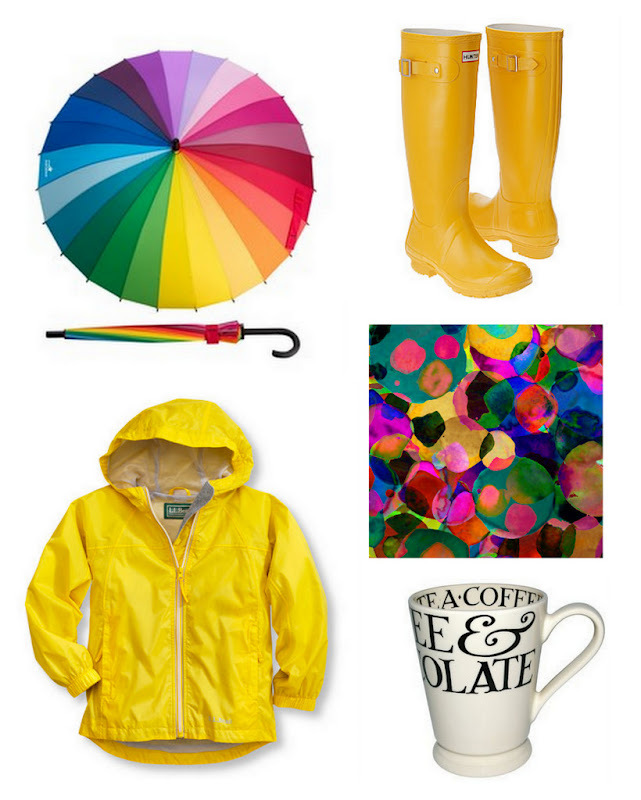 On the wet west coast, we need those pops of colour to cheer things up. I might need to invest in that umbrella this coming winter! Becoming a lemon drop on steroids is the perfect way to address rain and what a charming way to put it. So glad I've come across your blog!